Italy's star goalkeeper Gianluigi Buffon earned a European record-equaling 167th cap as Italy played out a goalless draw in a friendly encounter with the World Champions Germany in Milan on Tuesday. Italy's star goalkeeper Gianluigi Buffon earned a European record-equalling 167th cap as Italy played out a goalless draw in a friendly encounter with the World Champions Germany in Milan on Tuesday. 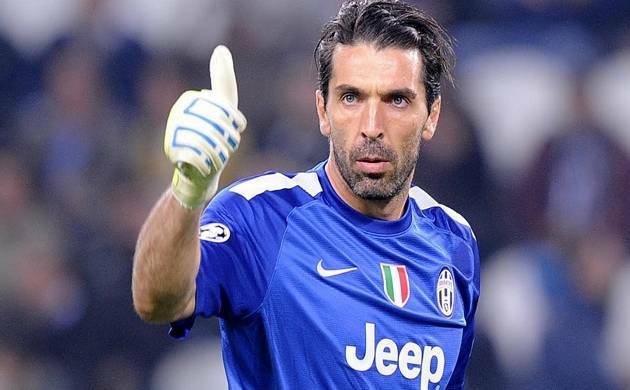 The 38-year-old Buffon, who made his Italy debut in 1997,is now level with retired Spain legend and fellow goalkeeper Iker Casillas. Although Buffon is now just 17 behind world record-holder Ahmed Hassan of Egpyt (184), the appearance of AC Milan's Gianluigi Donnarumma for a more positive second half was a reminder that retirement may not be too far off. Hosting Germany just four months after a dramatic penaltyshoot-out defeat ended their Euro 2016 hopes in Bordeaux,Italy were looking to end their three-game winless streakagainst the world champions. "We were facing the world champions and gave very littleaway," said Italy coach Giampiero Ventura. Apart from hittingthe post, we had four or five situations that we could havedone better with." Like Ventura, Germany boss Joachim Loew has one eye onthe future and made several changes to his establishedstarting line-up. By the end, he was largely happy with theirperformance. "It was a good and important result for us, especiallyour young players," he said. "We can be totally satisfied, even though we could havetightened up a little in defence." Juventus midfielder Sami Khedira and Arsenal's Mesut Ozilwere both rested, and regular skipper and goalkeeper ManuelNeuer was out with a virus, handing Bernd Leno the gloves forthe night. Buffon had to be alert to thwart Thomas Mueller as hechased a ball over the top and the Juventus 'keeper was alsograteful to Davide Zappacosta for producing a timely blockafter Leon Goretzka's flick sat up nicely for Mueller tounleash a first-time drive.Donnarumma, just 17, replaced Buffon to warm applause forthe start of the second half, claiming only his second capafter making his debut against France in September. Italy threatened when Belotti drilled a high shot wide ofpost and bar after finding space from 20 yards out. Belottiand Ciro Immobile, who combined have scored seven of Italy'slast nine goals, were finally beginning to gel. But the hosts saw claims for a penalty waved away afterBelotti squeezed between Shkodran Mustafi and Jonathan Tahbefore tumbling in the area. Germany brought on Serge Gnabry, who hit a hat-trick onhis debut in a 8-0 rout of San Marino last Friday, forGoretzka while Mueller made way for Kevin Volland. And Volland had the ball in the net when he flickedJoshua Kimmich's drive across goal past Donnarumma, only to beruled offside.